I’m just going to go ahead and toss this assumption out there: you probably don’t have your Halloween costume yet, do you? Of course not! Us last-minute folks like to live life on the edge; it’s more fun that way, isn’t it? Actually, I’m going to lie: I already have my costume, but this is the first year in the history of my life that has ever happened. Traditionally I’m just like you – I wait until the day before, or even worse the day of, to throw together a Halloween costume. But this year, since mine is already all set, I wanted to help you. So without further adeiu, I present to you some stellar last minute Halloween costume ideas for gamers! I always prefer to go the creative, simple, and funny-as-possible route, so many of these fall into one or more of these categories. The key though is that these be somewhat easy to recreate, so all you should really need would be stuff like cardboard boxes, scissors, a little bit of paint, and maybe a trip or two to the thrift store. So what do we have up first? Well, how about a hilarious, naked/blurred take on “The Sims”? Is that not awesome? While this just surfaced on the Interweb a few days ago, I guarantee you’d be the only person wearing the Naked Sims costume at whatever bar, party or Halloween street festival you and your friends/significant other are going to. 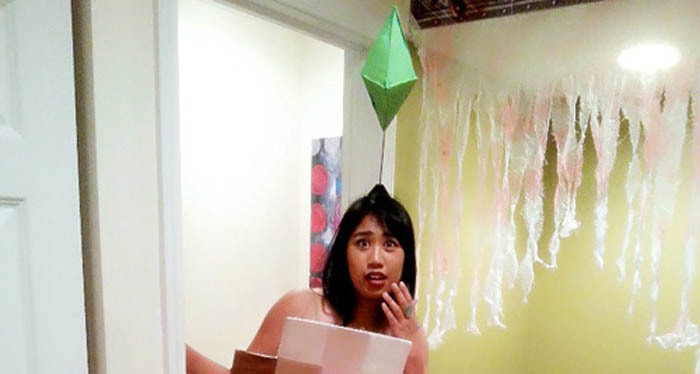 My wife is not a traditional gamer, but she is a Sims fanatic; chances are many people are going to go bonkers if they see you in the above costume. Oh, and how hard can it be to make? It looks like all you need is some cardboard, a few colors of paint, some basic straps to throw it over your shoulders and you’re good to go. Best Halloween costume for gamers I have seen in a long, long time! 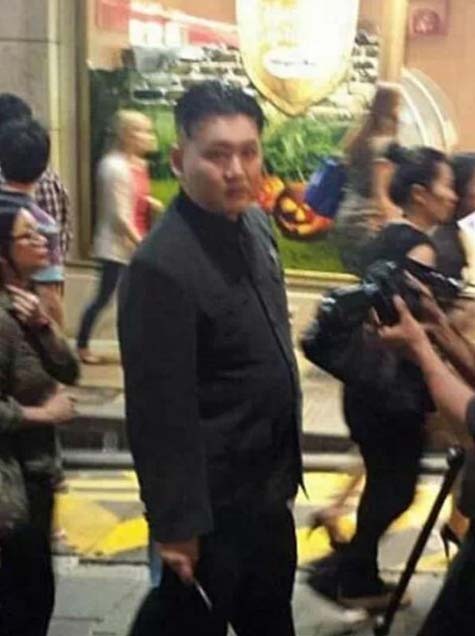 Okay so I lied – this Kim Jong Un Halloween costume idea may not be the easiest to recreate, but when it comes to costume contest potential I don’t think anything can top that of the 21 year old North Korean leader! Really all you need is black shoes, black pants, and the traditional black button up shirt that Mr. Jong likes to wear; after that all you need is a sweet bowl cut, black wig that’s parted down the middle. Oh, and you get EXTRA points if you actually cut your hair like that! Do last minute Halloween costumes get any easier than the old pair of jeans you’ve got in your closet? Just throw those on, grab an old white t-shirt, an ice cold brew and you’re good to go! 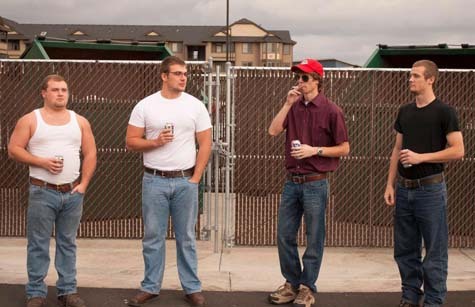 While the guys above definitely have a natural King of the Hill look, if you and your buddies pull this off as a group it won’t matter what you look like – people will instantly recognize it and love it! Well folks, I saved the best, and by far the easiest for last: the Office Unicorn costume. 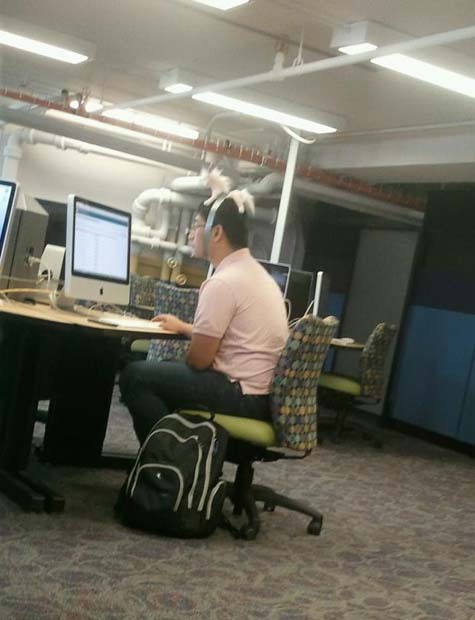 When all other costumes fail, your last resort should always be a unicorn strapped to your head with duct tape. Simple, elegant, and I guarantee no one will replicate it! Drop us a line in the comments below to let us know what you’re dressing up as this year! And if you haven’t done so already, create your LFGdating profile today!